Alta's Rustler Lodge is located in the town of Alta, Utah. It is at the base of the Alta Ski Resort, which boasts of 500 inches of "the greatest snow on Earth" annually. Alta is 45 minutes southeast of both the Salt Lake International Airport and Salt Lake City. Alta is a small town in the Wasatch Mountains resting at 8600 feet above sea level with surrounding peaks of 11,000 feet! There are 400 local residents, 5 ski lodges, a few private homes and a number of condominiums. Alta is within National Forest boundaries and both the town and the Forest service regulate much of the activity. Alta is one mile from the Snowbird ski resort and within 90 minutes of Park City and 5 other local ski areas. Alta's Rustler Lodge has 86 guest rooms, and is the premiere lodge in Alta. The Rustler prides itself on "service above all". The Rustler has the finest food in Little Cottonwood Canyon prepared by our chef, Ed McCall. Alta's Rustler Lodge is on the modified American food plan, which includes breakfast and dinner in the room rates. Lunch is also served at an additional cost. The lodge caters to our "in house" guests, providing a range of services from children's programs to special dietary requests. Most guests feel as if they are returning home when they arrive at the lodge. 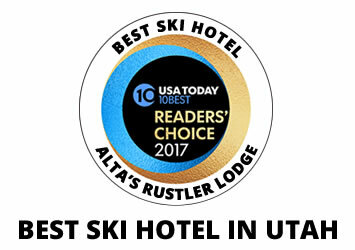 Much effort is put into maintaining this feeling and the management team that has been with Alta's Rustler Lodge for 20 to 30 years make it possible! To be a part of the Alta experience, an applicant must be hard working, self-motivated and enthusiastic. Departmental pay ranges from $6.50/hour - $12/hour depending on position less $125/every 2 weeks for room and board (if living in on site housing). Off site positions start at $8/hour with full food benefits. A $100 deposit is required for a ski pass and a deduction of $50 per pay period will be put towards your ski pass through March 31, 2019.This deposit is returned in full (approx $500) upon completion of one's employment agreement with Alta's Rustler Lodge. It is forfeited if you are dismissed or do not fulfill your employment agreement with Alta's Rustler Lodge. Please note that the Alta Ski Area does NOT allow snowboards! We offer a Snowbird pass in lieu of the Alta pass for those who do snowboard. There is also a combined Alta/Snowbird pass available for an additional fee (approx $350 - $400).This upgrade is due upon pass issuance and NON REFUNDABLE. We encourage those who apply to commit to the entire season (late November through mid April), but this is not a requirement. 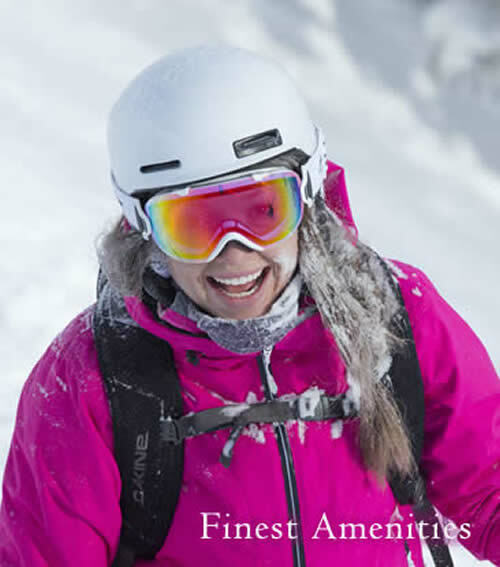 Schedules allow for ample ski time, focusing on customer service when working. Living is dormitory style with 3-4 employees per room. Certain positions warrant double or single rooms.All employees are subject to Alta' s Rustler Lodge dress and conduct code. Paychecks are issued every 2 weeks and electronic deposit is available. Jobs available: HOUSEKEEPERS, SOUS II, LINE COOKS , PREP COOKS, DISHWASHERS, HOSTESSES, SERVERS, BUSSERS, FOOD RUNNERS, EXPEDITERS, FRONT DESK ATTENDANTS, HOUSEKEEPERS, CUSTODIANS, LAUNDRY AND HOUSEMEN. Please specify which department you are interested in. Some departments require previous experience and have age requirements.Housing may not be available for all postitions. On site and off site housing is available. References are important—please make sure the phone numbers are correct. We thank you for your interest in Alta's Rustler Lodge and look forward to hearing from you. After we receive your application, a phone, Skype or personal interview will be required of all applicants. All inquiries will be taken at 801-742-4819 or (local SLC) 801-532-2582. Our summer office hours are Monday - Friday from 8:30 a.m. until 3:30 p.m. Thank you for your interest in Alta's Rustler Lodge and think snow! For additional employment questions you may email Meg Kemp.